This is a scary dreadful word for everyone who has decided to study an instrument. Here I will share some advice about how to practice and what is best for students who want to deal with the stress of practicing. Is practicing really scary? WHY? Well, it takes time (time out from those endless computers games), it requires focus and thinking (how we hate to practice instead of watching meaningless reality shows, cooking shows, games, soap operas), and requires being proactive and responsible (how we don't like any of this). So what to do? First answer the question WHY do you need to practice? Because you want to achieve something, to learn something new and improve your skill. Because everything meaningful and worthwhile in life comes only with effort, and anyone saying the opposite is intentionally leading you towards failure. So where is the fun? Fun is in the action of solving the puzzle called a music score, and learning it, being able to play it every time you wish after that. The fun is in thinking!!! All good, but a child cannot think this way. So without parents to remind, to help and to guide, achievement obtained through practice will not happen. So now parents may be feeling angry, at one more thing for them to supervise. But it only takes 10 min.! What more important could you do in this short time?? You need to create the habit, the routine and make sure it is not changed. So how should we practice? Little children and first year students should practice 5-10 min. per day, either in the morning, or 5 min twice per day. Start by warming up the hands by playing with one finger only (the 2nd, or 3rd), up and down the keyboard with each hand. Then, learn one of the pieces in the assignment. Next time, warm up and do the second piece from the assignment. 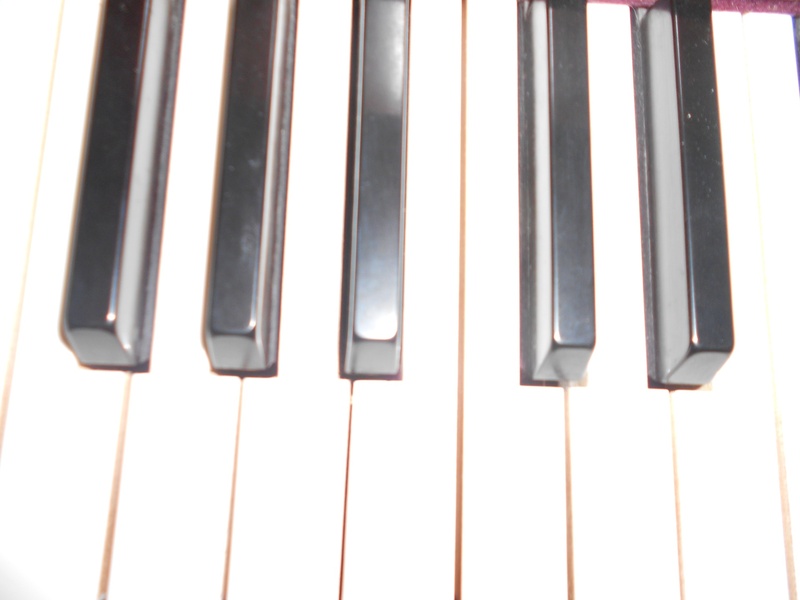 Parents: when supervising please observe and correct POSTURE (TALL back), LEGS (both firmly on the floor, not crossed), FINGERS (LIGHTLY CURVED SHAPE), DISTANCE FROM PIANO (ELBOW length), HEIGHT OF THE BENCH (your child’s arms should appear horizontal to the keys, not coming up from underneath). Second-Third year students: here we acquire more complex skills, so practice should be different and longer (30 min. per day). This is the time the serious foundation is built for lasting success. Start with a slow warm-up (2nd and 3rd finger up/down key sequences) then play the assigned scale at a slow tempo. Parents! LOOK FOR RELAXED WRIST, OVERALL relaxed feeling. TALL BACK, FEET grounded on the floor. To assist with practice you can use a cooking clock or other timer to measure each section of daily practice. Continue with the assigned technique building exercise. All this for 5 min. The next 10 min are for learning your music. Start with the newest piece and work on difficult segments and passages by repeating and polishing them. Do not repeat fast, but slow; the goal is to be without errors. This is the only way to learn to play always without errors. You consistently need to teach your fingers to play ONLY in the correct manner, by doing it at the slower tempo first. Try to memorise these excerpts at the same time. When needed, during the lesson I write specific instructions on which sections need to be practiced more. Focus on them. Before this is done, DO NOT PLAY the composition in its full length. Next 10 min. : practice the piece which is older and needs only polishing, here you can play longer excerpts and focus on expression, correct pedal, dynamic, and character. Listen actively: do you play the correct notes, chords, is it soft or loud? Is this correct? Look at the music! If some technical errors appear, isolate the segment and repeat slowly a few times. Last 5 min: Always finish your practice with a piece which you know and enjoy playing. Your 30 min. practice can be divided into two (morning, afternoon) sessions; start both halves with slow warm-up and scales. Use the first half for the newer composition, and in the second, practice for the older composition. This way of practicing gives fast results, so just use it. Looking forward to your comments. Yes, you are getting ready for the new school year and suddenly you realize you haven't practiced piano much this summer. What to do??? Resist your first impulse to go and start playing fast to compensate for the lost time. Play some scales, SLOW with no force on the hands. Then play some easier music you used to play well in the begining of the last semester. If it feels fine, then you start working SLOW on your current music. Since, you haven't practiced whole summer do not do it for 3 hours now. Clearly, your hands are rusty and need time. Practice a few times a day but for a short time (10 min) and gradually move to your standard practicing routine (I hope you had one) in a few days. If you haven't had a good routine now is the time to find your own best pace. Make your own plan! Happy practicing and successful new school year. Enjoy your new piano performance achievements! You want to learn to play the piano but you don't like to practice. WHAT TO DO? 2. Set up small practice sessions (10 min. each) two or three times a day. Build a habit . 3. Set up a small goal for each practice. Try to reach your goal in the time you have. Concentrate! 4. PLan your practice time and each time start with different music from your lesson list to avoid boredom. 5. Reward yourself for each goal you reach in your practice. 6. Finish each practice with something you play well or just have learned. 7. Remember, all the small practices acumulate over time. Before you know it, you will be playing the piano.